exhibitions: 11th – 27th October 2019, 10.00. a.m. – 6.00. p.m. Entrance for the FotoOpen exhibitions is free. Show your work at the group FotoOpen exhibition. Deadline: 30th July 2019. Theme free. 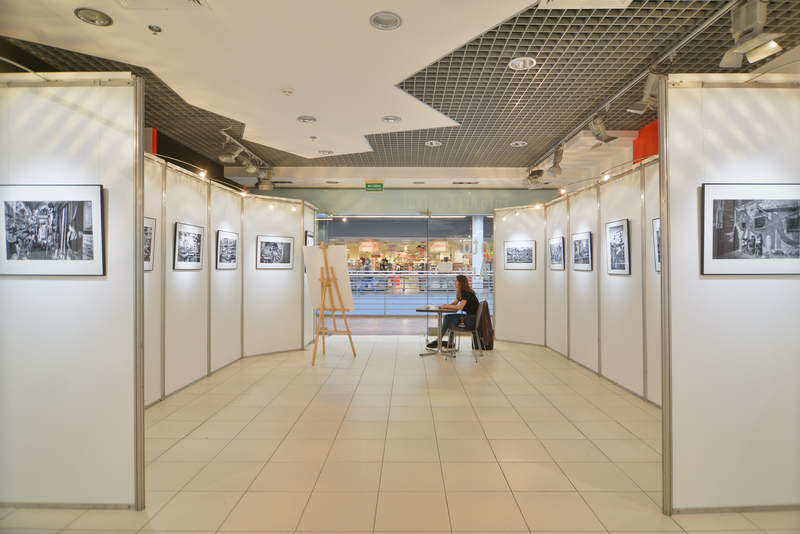 The goal of the exhibition is to create photographic opportunities to present your work in the wider audience forum. Exchange of experiences, creating opportunities for making new contacts in the photography environment. Promotion of photography. Among the participants of the review will be chosen the author who will have an organized individual exhibition at the B&B Photography Gallery on the agreed date. 1. The exhibition is an accompanying event of FotoArtFestival. 2. The exhibition is open to all photographers, without restrictions. The theme is free. 3. Participation in the exhibition is free of charge. 4. The first stage is sending the proposal in digital form to the address: info@fotoartfestival.com. The deadline is the 30th July 2019. 5. After e-mail acceptance of the work the application should be made using the FORM. 6. The list of people qualified for the FotoOpen exhibition will be announced at www.fotoartfestival.com, without individual notifications. 7. After the e-mail acceptance, the organizer accepts the printed works in any format, but not more than 50 cm longer side (including binding), in an amount of 1 to 3 works. 8. Each work must be legibly described with the name and surname of the author and the title (on the obverse, i.e. on the same side as the image!). 9. Technique and subject matter of any work. The works must be ready for exhibition (framed or glued on appropriate bases with hangers). Any binding. Galleria Fotografii B&B, ul. 1 Maja 12, 43-300 Bielsko-Biała. 11. The deadline for delivering works: September 30, 2019 (the date of receipt of the shipment determines). They can also be delivered personally to the B&B Photography Gallery, ul. 1 Maja 12 in Bielsko-Biała. 14. You can take part in the exhibition without entry fee, but then the author’s name will not be placed in the catalog. 15. Authors who have purchased an entry in the catalog receive from the Organizer free admission to the main exhibition of FotoArtFestival. To be collected at the FAF Office, ul. May 3, 11, October 11 – 27. Other participants of the exhibition – admission to visit the main exhibitions is paid. 16. You can take part in the exhibition without entry fee, but then the author’s name will not be placed in the catalog. 17. Persons deciding on the catalog should inform the organizer via e-mail: info@fotoartfestival.com (send a bank transfer copy). 18. The organizer is not responsible for any damage, loss or delay of work during their shipment by post and other. 19. The opening of the exhibition will take place on October 11, 2019. Works will be displayed in several places. The exhibition will close on October 27, 2019. 20. The organizer reserves the right to reproduce the submitted works free of charge for advertising, information, etc. in the press and in all types of print, on TV, on the Internet, etc. The list of people on the exhibition will be announced on the festival’s website. 21. The works will be returned to the Authors only at their express written request and at their expense. They can also be picked up in person at Galeria B&B, ul. 1 Maja 12 in Bielsko-Biała. Poland, after the closing of the exhibition. 22. Submission of works is tantamount to acceptance of these regulations. 23. The final interpretation of the regulations belongs to the Organizer of the exhibition.